Do you ever get that sinking feeling? That nagging sensation, despite relaxing in a comfy chair beside a well-made fire, of an elusive detail on the cusp of memory. Did you turn off the gas? Did you lock the back door before leaving? Similarly, having your jockey wheel sink slowly into boggy or sandy ground will cause this type of trepidation. That’s why, purely for peace of mind, it’s key to set up your trailer — be it boat, camper, caravan, horse-float, toy-hauler or a myriad of others trailer types — so it’s set correctly and securely from the get-go. The Jockey Wheel Buddy is for this purpose alone. 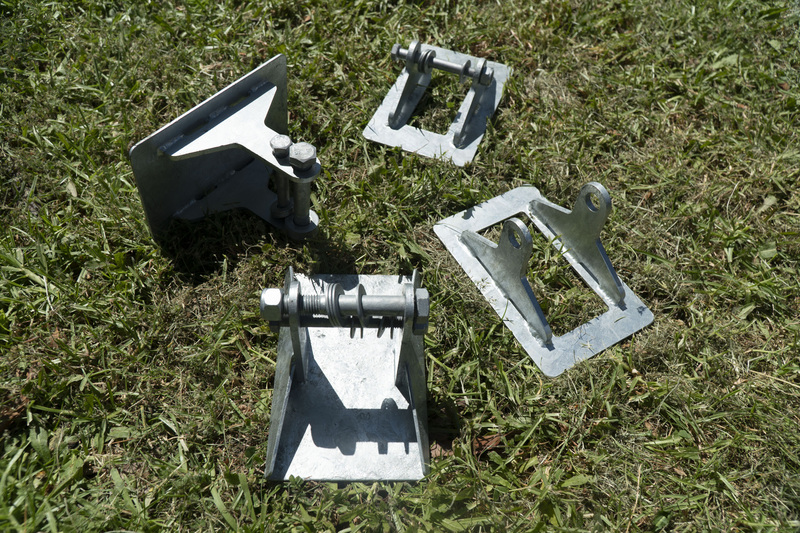 With it in place, your jockey wheel will never subside into the earth, leaving you scratching your head, searching for a make-do solution when it comes time to move sites or pack up and head home. Once in place, affixed to your jockey wheel, the Jockey Wheel Buddy is there for good, saving you from wandering about on the hunt for a slab of tile to do the job or from pillaging the BBQ hotplate or shovel. It’s perfectly designed, is super-strong and comes in a version sure to suit your requirements. The people at Jockey Wheel Buddy have thought deeply about the trailer requirements for all sorts of towable rigs. So although its basic principle is simple — keeping your jockey wheel in place, upright and fully supported — the varieties on offer enable a version perfectly suited for your trailer needs.